The proportional solenoid is an electricity-machinery conversion device of the electro-hydraulic proportional control element. Its function is to convert the current signal outputted by the proportional control amplifier into force or displacement. 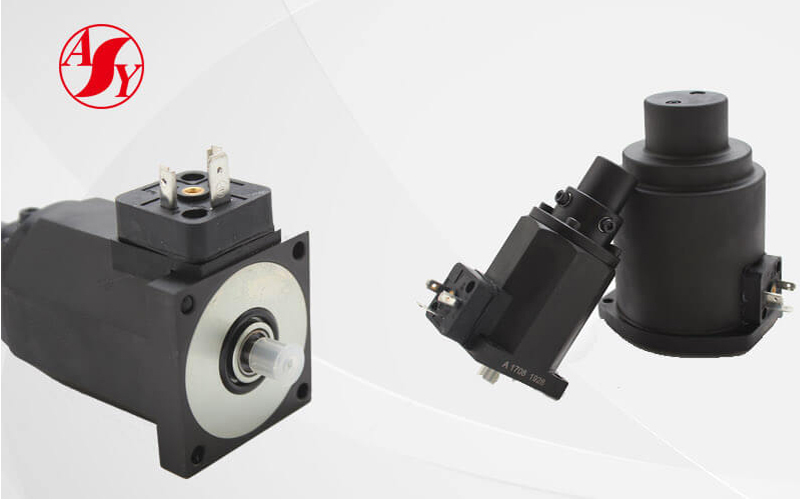 The proportional solenoid has the characteristics of large thrust, simple structure, low requirements for oil cleanliness, convenient maintenance and low cost. 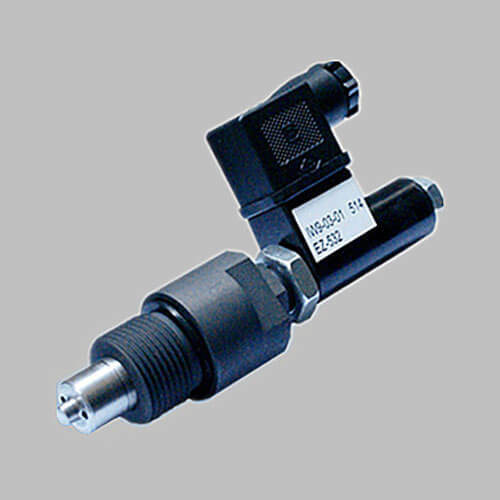 It is the most widely used electro-mechanical conversion device in electro-hydraulic proportional control technology, and its characteristics and working reliability have a very important impact on the electro-hydraulic proportional control system and components. Compared with ordinary solenoid (on-off solenoid), the displacement – force characteristic curve of the proportional solenoid is approximately horizontal in working stroke. 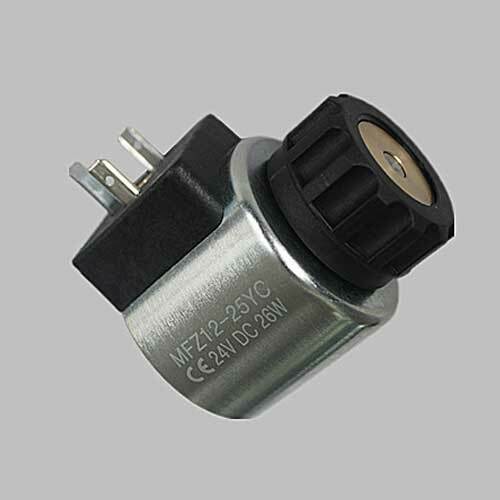 As shown in the figure below, the proportional solenoid is mainly composed of the armature, guide bushing, magnetic isolation ring, pole shoe, shell, solenoid coil and push rod. When there is a signal input coil, the magnetic field in the coil will exert a force on the armature. 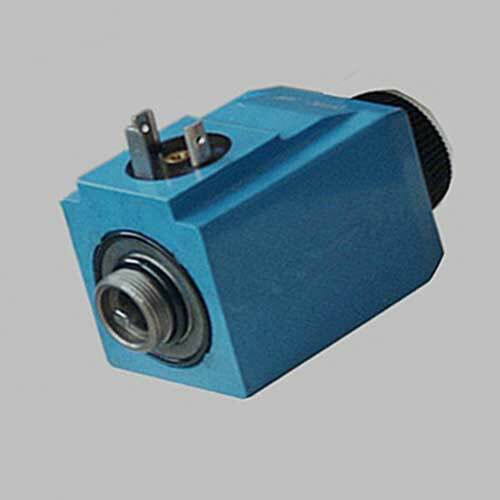 The armature will move continuously in proportion to the magnitude and direction of signal current in the magnetic field, and then drive the push rod to move by connected pins, so as to control the movement of the spool of the slide valve. In order to find out the influencing factors of the displacement-force characteristic of the proportional solenoid, we did many experiments and summarized four main influencing factors: the shape of pole shoe/armature end face, the location of magnetic isolation ring, the length of magnetic isolation ring and the working air gap width. So next, we will talk about the four factors in details. According to the knowledge of electromagnetism, we find that the cross-sectional area of the air gap is an important factor affecting the air-gap permeance. 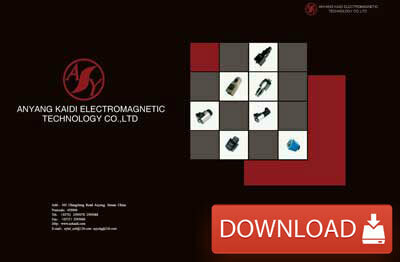 The change of it will affect the distribution of the magnetic inductance line and then affect the trend of the displacement-force characteristic curve. 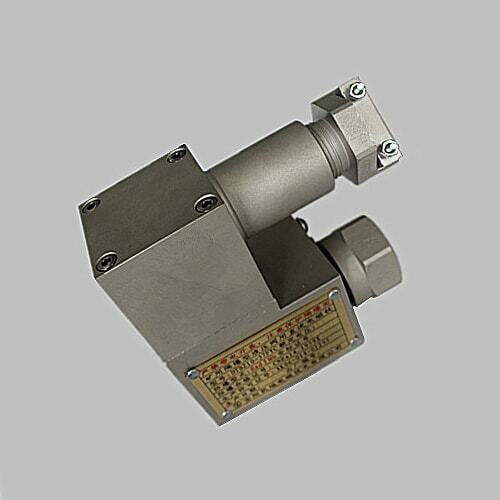 Therefore, we can consider designing different pole shoe/armature end face shapes (i.e., working air gap shapes) to verify which structure is more in line with the requirements of proportional solenoids. In picture 3a, the end of the pole shoe is designed as a basin, and the corresponding armature is designed as a cone. While in picture 3b, both the end of pole shoe and armature (the side of forming air gap) are flat. After analysis, we found that the structure in figure 3a would make the displacement-force characteristic curve more horizontal. 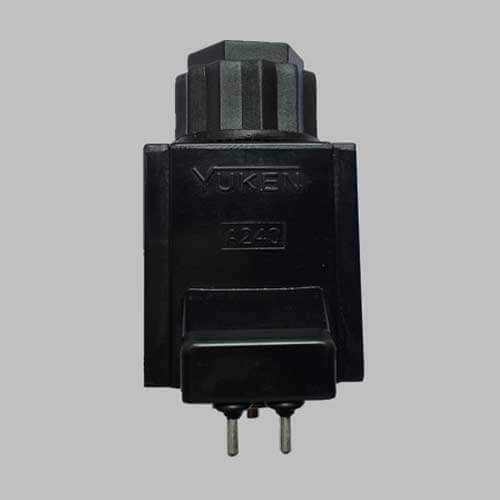 Therefore, we come to the conclusion that in the design of proportional solenoid structure, the basin-shaped pole shoe that has an armature with the tapered end can get a better characteristic curve. What we discussed above mainly gives a brief introduction to the proportional solenoid and analyzes one of the influencing factors of displacement-force characteristic. In the article Several Suggestions on Improving Displacement-force Feature of the Proportional Solenoid (2), we will continue with the last three factors. Hope this article will bring you some useful information. 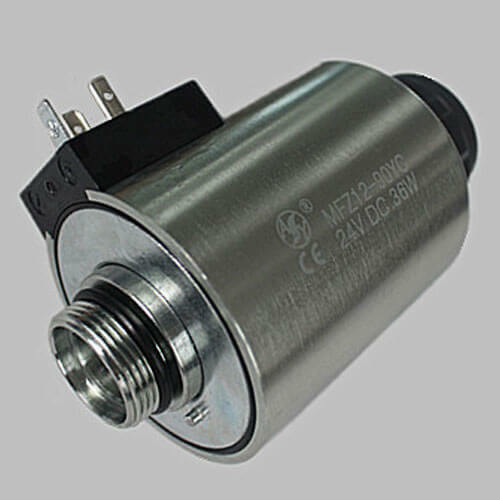 Kaidi is a solenoid coil supplier from China, we provide various kind of solenoid and solenoid coils, such as Rexroth solenoid coil, Yuken solenoid coil, Vickers solenoid coil, Parker solenoid coil and other custom solenoid or solenoid coil according to your drawing or samples. If you are interested in our products, please feel free to contact us.